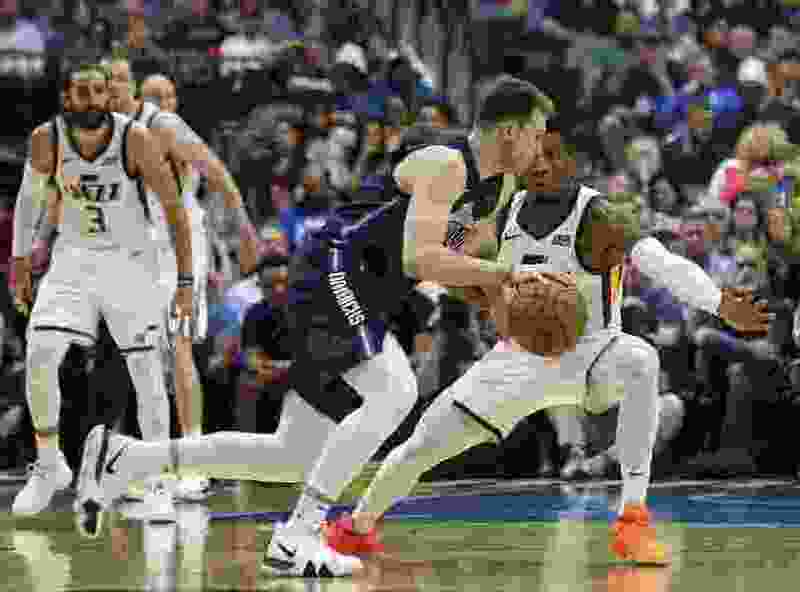 Three thoughts on the Utah Jazz’s 113-104 win over the Dallas Mavericks from Salt Lake Tribune Jazz beat writer Andy Larsen. Ah, good old pick and roll. The play perfected by John Stockton and Karl Malone was almost synonymous with Jazz basketball until the league really adopted it wholesale in this millennium. Now, everyone runs pick and roll, and while it’s certainly not the only component of a good offense, it might be the biggest. While the play has become a bigger focus of the league, it’s also become harder to run. If you just walk up the floor and throw a blah high pick and roll at a set defense, that defense is going to have a lot of success: everyone practices stopping the pick and roll in their base defensive scenarios. Everyone has gameplanned where to help from, where to stunt from, and where to make sure to cover. Tonight, the Jazz ran Spain pick and roll over and over again, and the Mavericks never quite figured out how to defend it consistently. You can see it here, on the Joe Ingles three that put the game away: Ingles sets a screen on DeAndre Jordan while Rudy Gobert sets a screen for Ricky Rubio. Rubio comes off the pick, and sees that the Mavericks have dedicated two players to the paint, perhaps due to a missed communication. Jingles is wide open for the three, and he sticks it. If that’s not tricky enough, you can disguise your intentions to even run a pick and roll wrinkle. Here, the Jazz put essentially every all bunched up on the free-throw line. Then, they run Donovan Mitchell off an Ekpe Udoh screen. The Mavericks are interested in stopping Mitchell, so they lean that way, but then the real action comes with a Spain pick and roll which gets Ingles another open three. 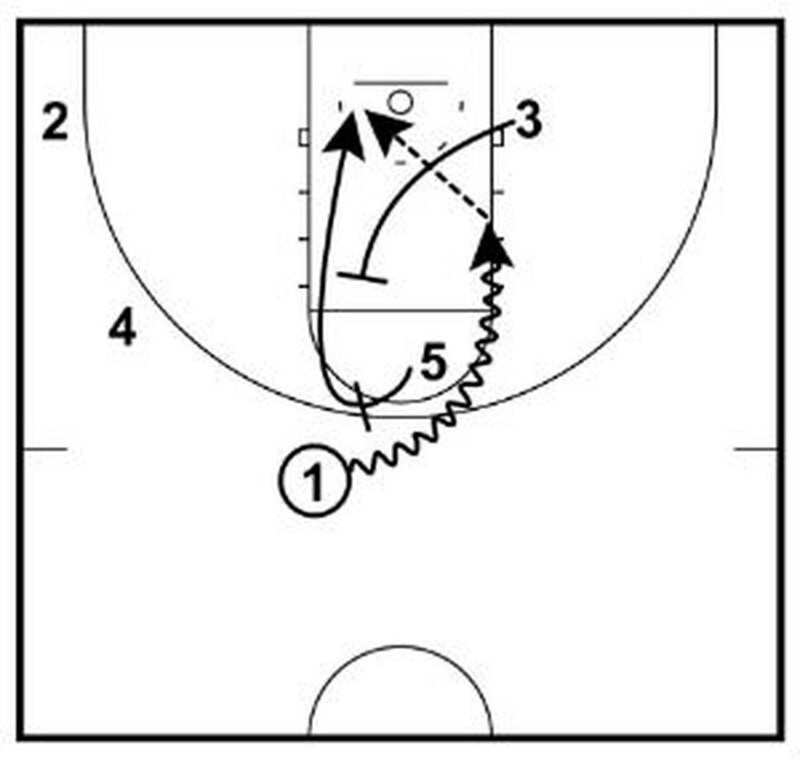 After starting all together, the Jazz explode to the perimeter for open shots, a man at a time. Obviously, the Jazz ran pick in roll in other ways, too, including just finding Gobert for some of the dunks that he had against the Pelicans. Gobert had a monster statline against Dallas, too: 23 points, 16 rebounds, and three blocks. You’ll often see Gobert set a screen and then roll to the rim multiple times in one possession, and that he was able to do that on back-to-back nights to equal effectiveness was very impressive. Synergy Sports tracks the number of plays that end up in pick and roll shooting opportunities for the ballhandler or roll man. Tonight, the Jazz had 55 such plays, according to Synergy, one of the highest totals for a team in the league so far this season. As good as the pick and roll was, the Jazz got their most leverage on the scoreboard when the bench was in the game. To be honest, some of that is just due to the shallow Dallas roster; they don’t have a lot of talent coming off of that bench. But Dante Exum was a big part of the Jazz’s success off the bench, and it was because of his relentless attacking spirit. Even when the defense looked back, Exum exploited small wrinkles — in part caused by Dallas’ bench lack of length — to get good shots for himself and his teammates. This shot came after a made free throw. As you can tell, even the Mavs broadcasters aren’t expecting Exum to attack this quickly. But he’s able to get into the paint, curl around, and find Niang for the open three six seconds into the possession. Exum’s statline wasn’t brilliant, though, just six points, four rebounds, and three assists. The biggest reason: he couldn’t finish at the rim! Craig Bolerjack isn’t exactly right here — it’s not five strides Exum takes — but Exum goes coast to coast in five dribbles to get all the way to the rim before coming up short on the finish. This is a tough finish, to be sure. But Exum’s done the work that 95 percent of NBA players couldn’t do, getting to the rim in that situation with his speed and length. If he could finish this consistently, it would really make a difference in the second unit’s scoring ability. Derrick Favors missed tonight’s game due to knee soreness. To be honest, it’s been a few games now where I felt that Favors was playing at about 80 percent of his athletic potential, clearly lacking some of the burst (both horizontal and vertical) that can make him a difficult player to defend. So far, the Favors and Gobert lineups haven’t been good. Through 55 minutes, those lineups are being outscored by 9.8 points per 100 possessions. While the defense is very good (a 99.2 defensive rating while they’re out on the floor), the offense grinds to a halt, only scoring 89.3 points per 100 possessions. Teams are not at all afraid to leave Favors open from the corner three, and Favors hasn’t made them pay: he’s made none of his six threes this season, and to be honest, they haven’t looked very close to going in either. After missing against New Orleans, he clearly just abandoned the pretense, and started to drive to the paint. That’s not a strength, either: he doesn’t have the two dribble moves to get all the way to the rim and finish there. Meanwhile, the lineups with Jae Crowder or Georges Niang at the four have been much better, providing spacing for Mitchell, Rubio, and Ingles to do their thing without losing much defensively. The 80 percent version of Favors is definitely exclusively a center, in other words. I’ve been curious to see what a lighter version of Favors could do on the perimeter, but it seems this knee soreness has prevented him from doing that so far. Hopefully, a game off and three days of rest until Minnesota will make a difference.